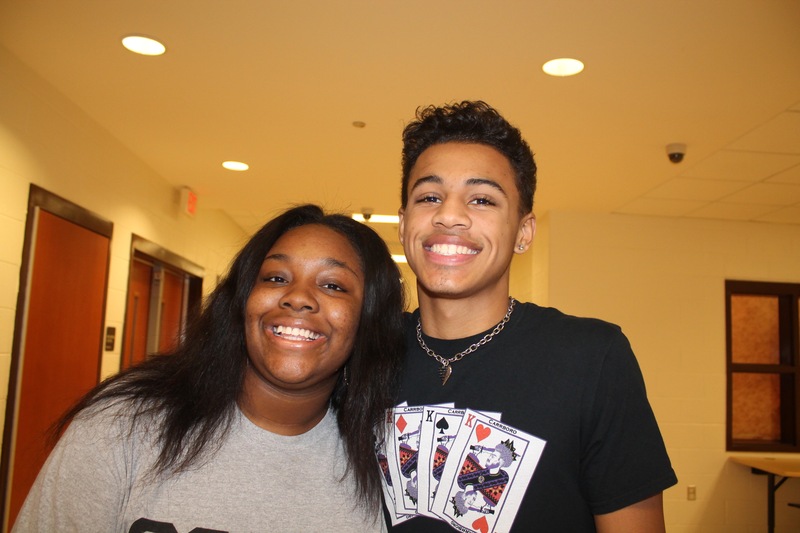 In creating clubs specifically for African American students, two students hope to bring minority students together to express their opinions and to bond with one another. Diamond Blue, senior, has created a club specifically for Black female students at Carrboro High this year. Her club, Black Girls 4 Black Girls, creates a safe space for Black girls to speak their minds without fear. “It’s the first club in the ten years that the school has been built that is exclusive to only Black girls and Black women. It’s just a place where we’re completely allowed to say what we want; there’s no boundaries obviously. We’re being respectful. You have to; it’s just a safe environment,” said Blue. Blue intends for Black Girls 4 Black Girls to not only combat the issues of being a minority in a predominantly white school but also combat the stereotypes surrounding women of color. She intends to make the school more inclusive and have the girls understand that they’re a family. “Right now in America, division is at it’s peak. Obviously slavery and all of that caused division. We’re not unified, and we’re not joined together as one, so you see a lot [of drama] in the black community [among] females, ”said Blue. Blue works hard to make sure that every girl’s voice is heard and that no student is left behind. “We have meetings, and we either have guests or we reach out to certain girls that might need extra guidance or help. We just talk to them and kind of guide them. Because the club just started having meetings (it’s fairly new), our agenda is a lot longer than what we’ve been able to accomplish thus far, but basically the club is where we box everybody else and everything else off,” said Blue. Some peers have pushed back against Blue’s efforts to create the club. “I’ve had more students than anything find it offensive, saying that it’s problematic because it’s not inclusive to everyone– saying that it’s exclusive – but America, for God’s sake, is not inclusive to everyone. I’ve definitely gotten into a couple arguments about why we need it and why it needs to happen,” said Blue. For specifically Black and Hispanic boys at CHS, Chris Thompson, a junior, created the Kings Club to unify the male students and give them a voice. The wellbeing of Black students is something he is extremely passionate about, and he is determined to make the club successful. Many students feel that having Black Girls 4 Black Girls and Kings Club will unite the minorities at CHS and make the school a better environment for African American and Hispanic students. Now, they hope, all students can have a voice. Diamond Blue (left) and Chris Thompson (right). Photo by Niya Fearrington.